Late one night, Barbara was driving home around 10 p.m. after a company Christmas party. It was a clear night when she passed Second Avenue on Jackson Street. Right after that, she suddenly slammed on her brakes as a small boy stood in the path of her car. Clearly, she had run over the child. Shocked and in a panic, she quickly jumped out of the car while fussing with her cell phone to call 911. While she was doing this, she proceeded to look around for the injured boy, but there was no sign of him, until she realized his body must be still under her car. At this point, an older man came over to assist her. Fearing to see the condition of the child, she asked with tears in her eyes if the man could look under her car for the body. He proceeded to do so, but there was no child in sight. They both looked around the area but found no child. 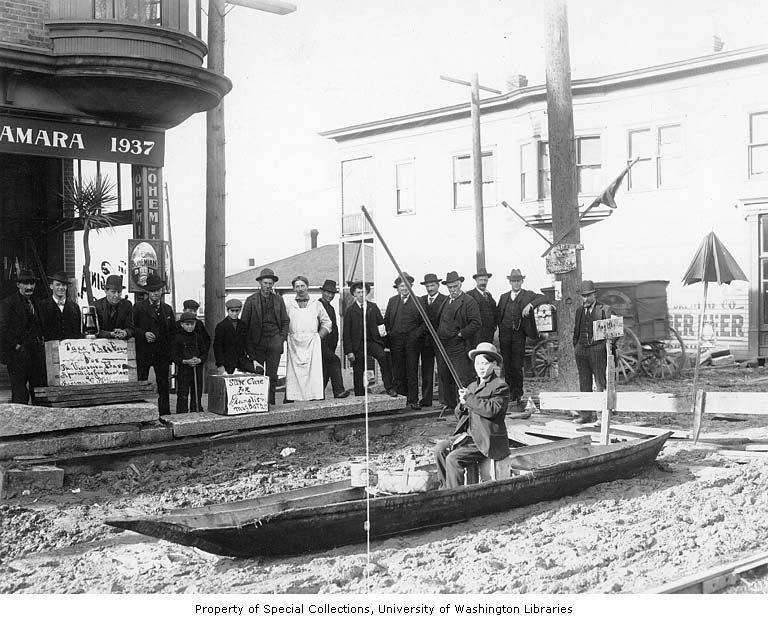 In the 1800s, Seattle suffered from drainage problems, due to being built at sea level. Tidal waters would flood city streets. The rain and plumbing problems didn’t help. 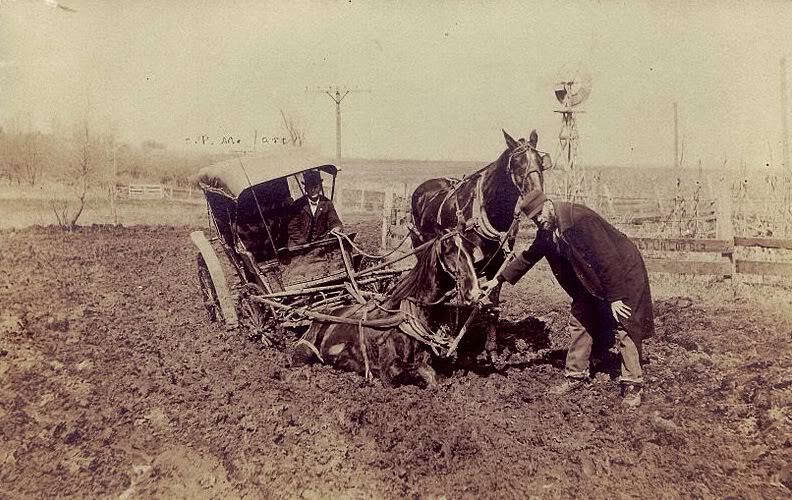 With the streets being used by horses and wagons, they developed huge potholes, also known as chuckholes, throughout the downtown streets. These chuckholes where so bad that they continued to fill them with sawdust, which only made matters worse. The mixture of water, soil, and sawdust became a substance similar to quicksand in most areas. To avoid running into these ever-growing obstructions throughout the Seattle streets, the city decided to put them on city maps to guide citizens through the streets more safely. In early May of 1898, a ten-year-old boy named Joseph Bufonchio was playing at the corner of Third and Jackson in what was known as the Great Jackson Street Chuckhole—it was eight feet deep and sixteen feet wide. The local children loved to play in these large pools of muck. These children would build rafts and push themselves across these miniature lakes by using poles to push them along. In doing so, at 4:30pm Joseph’s pole got stuck at the bottom of the chuckhole, and he fell in and sank to the bottom. This event was such a huge spectacle that up to 2000 voyeurs watched at what was described as a comical event as men clumsily struggled to retrieve the boy’s body. One by one, they fell into the muddy mess as the crowd cheered and laughed. It wasn’t until Joseph’s father arrived and yelled out to the crowd: “It is my poor boy that has been drowned. Have you no regard for my grief?” Just then, silence fell over the great chuck hole. It wasn’t until 6:00pm that they recovered his body, and he was rushed to a local bathhouse, where Dr. Rogers who theorized was that a body could be revived even after it had been in the water for several hours. He worked on the boy’s body until 9:00pm with no success. 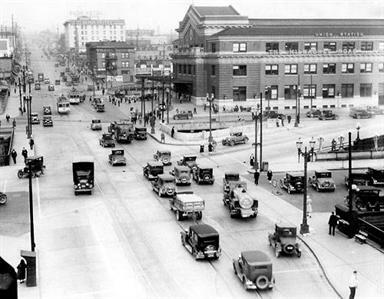 After that tragic event, newspapers read, “Boy Drowned in Seattle Streets.” Embarrassed by the incident, the city of Seattle made rules to prevent anyone else from drowning by placing life preservers at all intersections and demanding that all children learn to swim. Could the young boy seen on Third and Jackson be the downed boy, Joseph? Keep an eye out and see.